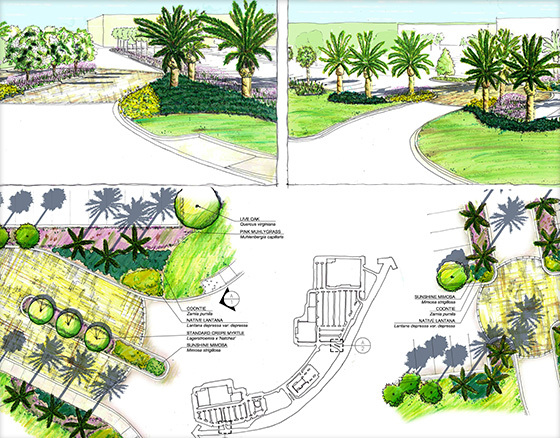 Combining state-of-the-art computer automated drafting, 3D modeling programs and old fashioned hand drawing skills, our landscape architects create project graphics that help communicate design themes, illustrate concepts and help build consensus with project stake holders. Our team starts out by exploring design ideas by developing conceptual studies and overlay drawings. This allows us to quickly generate multiple concepts and design options that lead to the best possible design solution. 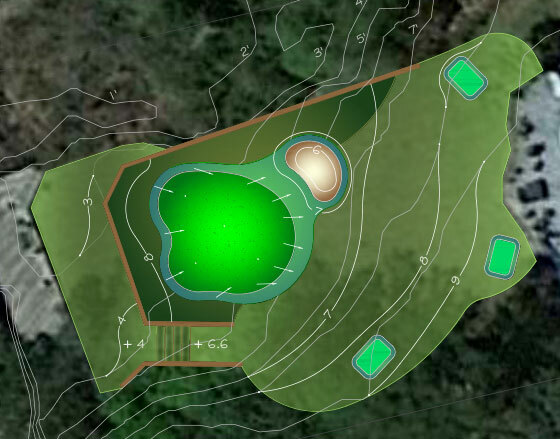 To communicate final designs the team will develop overall site and space plan renderings with full detail of color and other design data. 3D views are a very helpful way to illustrate the finer points of a design which may not be effectively communicated from an overhead view. We utilize a 3D modeling program to build an actual model of the project that can be viewed from any vantage point. Once the design is ready to be built the team will create construction drawings of the project. 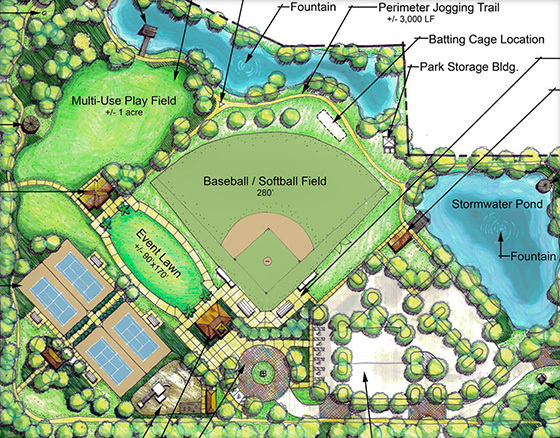 These drawings include detailed site plans, geometry, grading and site furnishing plans. Detailed cross sections details and elevation details are also provided.